Some of us at Willowpine Outdoors would rather spend a day catching big walleye and smallmouth than sitting in a deer stand or duck blind! That's why half of our company is fishing-based. 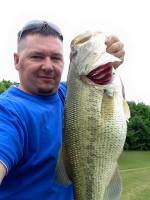 We love to fish, and as a team we love to catch many different types. 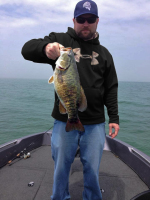 We have guys that specialize in walleye, crappie, largemouth bass, smallmouth bass, catfish, and more! As a team, combined we have over 200 years of fishing experience. 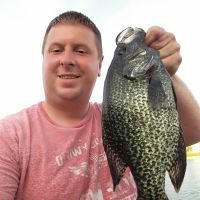 We want to help you catch more fish – we have guys who specialize in nearly every Indiana species, so we can make that happen for whatever fish you're after. 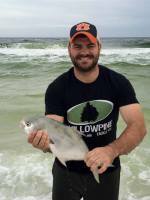 Check out the Willowpine Outdoor Journal for tips, tactics, and fishing stories. 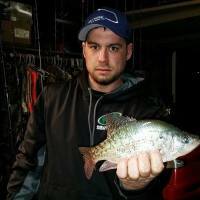 Also, we have real time fishing reports and updates on The Outdoor Radio Show podcast. 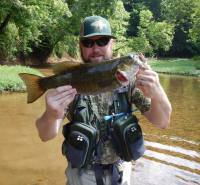 Many of those who have asked us for help catch more fish, and to us that is a job well done. We don't just love to catch fish, we love to eat them also. We responsibly harvest several fish throughout the year to help feed our families. Catching fish to eat is just another way of providing a healthy meal for your family. However, overharvest of fish is of great concern to us. Many people keep every fish they catch, and it ends up getting freezer burnt and thrown out. We're very concerned with conservation and harvesting any type of animal or fish responsibly. 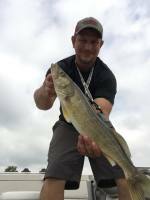 For many of the baits we use, check out our tackle company, Willowpine Tackle Co. and Six2Limit Walleye Baits . We also have the sponsored support of one of the best lure manufacturers in the county, River2Sea . River2Sea introduced their Whopper Plopper topwater bait, and it has taken the fishing community by storm. In addition to R2S, our staffers use the very best fishing rods available to anglers, Phenix Rods . Try one, you'll never look back. 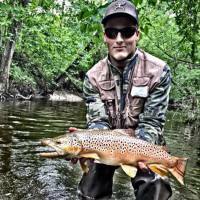 If you have interest in learning more or joining the Willowpine Outdoors fishing team, please contact team leader Eli Eccles (info under contact page). He'll tell you what we're looking for in staffers and team members. 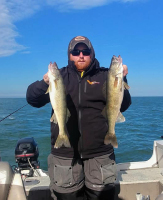 We're always looking for people in areas that have experience with different types of fishing, and people who specialize in certain ways of fishing.